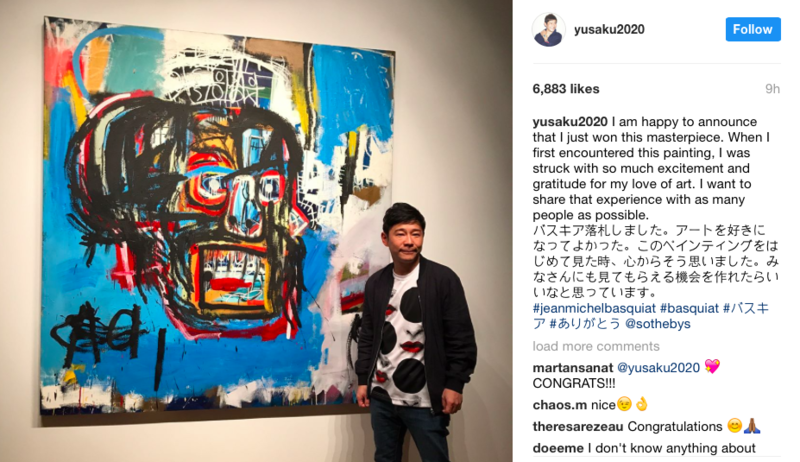 The piece was purchased by collector and e-commerice entrepreneur, Yusaku Maezawa for a record price for any work by an American artist. 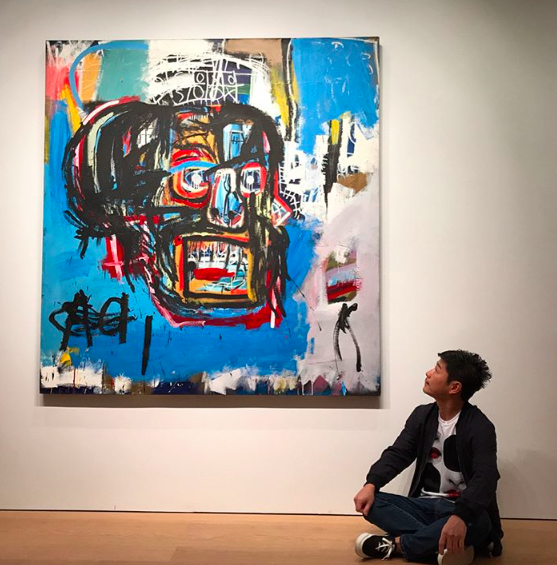 Basquiat's work lead Sotheby's £245.6 million Contemporary Art Evening sale. The total pre-sale estimate for the sale was £162.3 - 213.2 million, with 96% of lots sold last night. Here come the facts and figures, Untitled was also bought for the highest price ever paid for an artwork created post 1980; the second highest price for any contemporary artwork at auction and the 6th highest price for any artwork sold at auction ever. 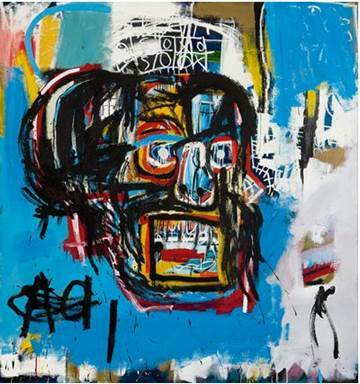 The piece has been virtually unseen since it last appeared on the market in May of 1984, when it sold for £14 620. The work was purchased by noted collector and entrepreneur, Yusaku Maezawa, the founder of e-commerce giant, Start Today, and ZOZOTOWN, the virtual mall on Japan's largest fashion e-commerce site. The painting will eventually be housed in a museum based in Mr. Maezawa’s hometown of Chiba, Japan. Records were also set for Jonas Wood, Wolfgang Tillmans, Mira Schendel, Blinky Palermo, Takeo Yamaguchi and Keith Haring.